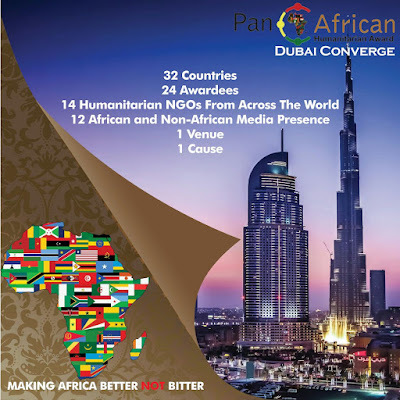 On the 12th of November, 2016, Dubai, the most populous city in the UAE and one of the world’s most prominent global event destination for business and individuals is set to play host to 300 highly recognized leaders in various sectors of industry, government, business and humanity from 27 African countries to discuss the future challenges and opportunities for those who are involved in developing the humanitarian practices, advocacy and socio-economic development in Africa and be honored for work of excellence through an Award Ceremony. discussions on the success stories and experiences needed to bring a positive change in global charity and social environments. 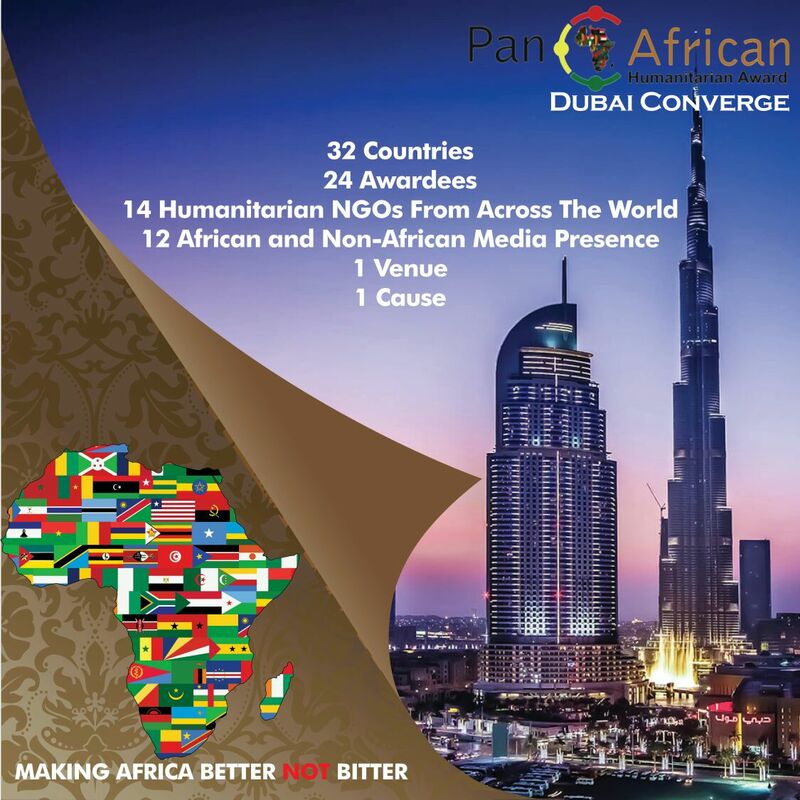 The Pan African Humanitarian Awards/Summit popularly known as the prestigious Night of Honour is an annual event conceived to recognize and profile men and women, leaders and peace builders creating change at the grassroots to national levels in Africa and who have demonstrated kindness in building and supporting the less privileged in their communities.